Konami’s back catalog of classic games is one of the most impressive there is, and yet, the company doesn’t do much to celebrate its old-school favorites. While companies like Sega, Nintendo, and Capcom re-release and repackage their classics constantly, Konami almost seems ashamed of theirs. So, it’s somewhat surprising to report that Konami is celebrating their 50th birthday with a series of new Anniversary Collection compilations. Three collections will be released, focusing on Castlevania, Contra, and Konami’s early arcade games. They will each include 8 games, new “modern features,” and an eBook with information about the games and interviews with their developers. Each Anniversary Collection will cost $20 and only be available digitally. You can check out some of the games on the way, below. Konami starts its 50th anniversary celebration with this first installment of the Anniversary Collection series of the all-time classics! 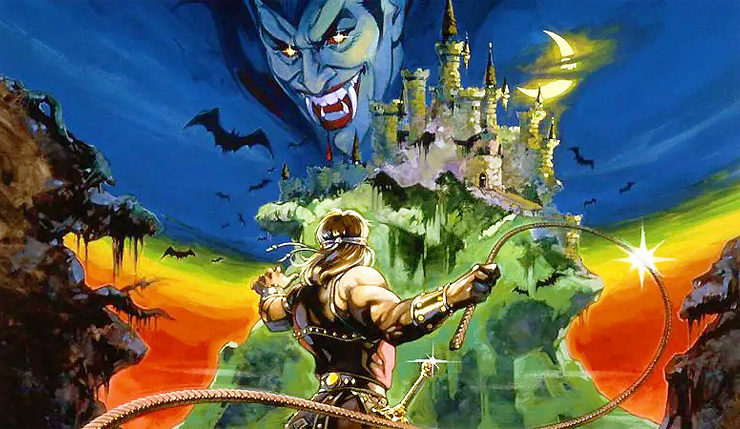 This collection includes 8 arcade masterpieces of the 80s, from Nemesis to Haunted Castle. Castlevania Anniversary Collection is designed to be a completed collection around the origins of the historic franchise. Included is a unique eBook that has details provided by developers, artists and other inspired by the Castlevania legacy. Contra Anniversary Collection brings this classic Run and Gun franchise back to modern platforms and a new generation of gamers. Grab power ups and blast your way through waves of menacing enemies and bosses that will put your gamer reaction skills to the test.